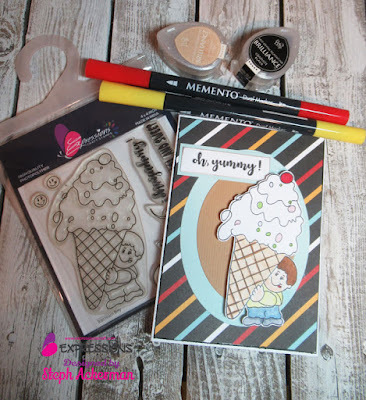 Hi everyone, I'm on the Expressions Craft blog using Ice Cream Boy, which is such a cute stamp set. I stamped the ice cream cone in black ink, then colored it with Memento Markers. 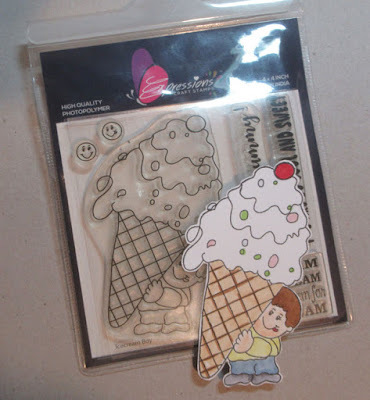 Then I fussy cut it for my project. 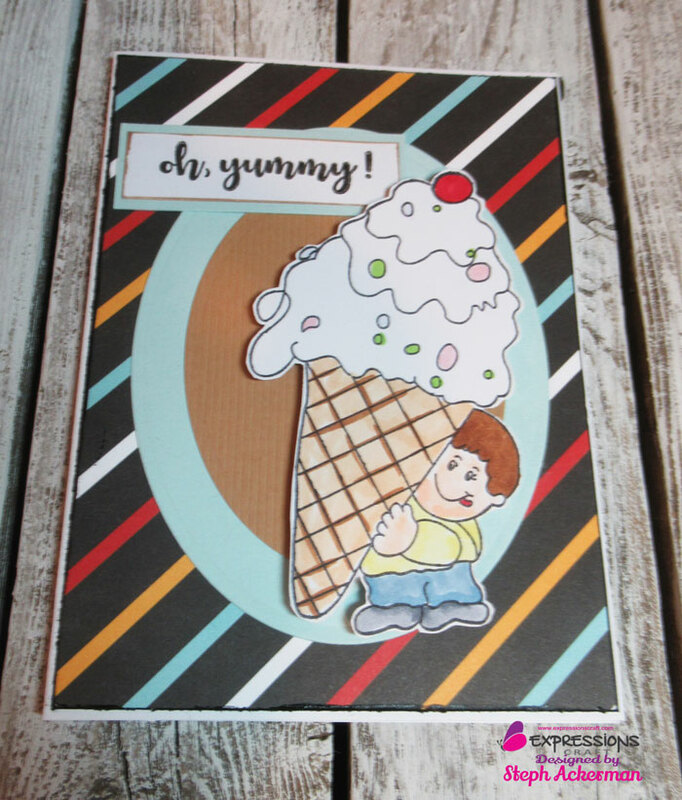 I mounted the ice cream cone on foam adhesives and offset it on oval die cuts then added it to a striped card. Oh Yummy was tucked slightly underneath the cone. Ireland Bound with Canvas Corp.